This award is based on nominations received from the industry, member companies and other interested stakeholders. INDA’s Technical Advisory Board then votes with the selection criterion that includes nonwoven technology involvement, INDA membership, and at least 20 years of industry service based on advancing the technology of the industry and culminating with commercial successes. 2012 David L. Lunceford HDK Industries, Inc.
2015 Thomas W. Federle The Procter & Gamble Co.
2018 Ralph Moody, P.E. Berry Global, Inc. 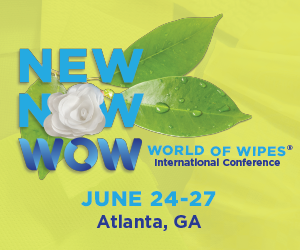 The Lifetime Service Award is given to individuals who have a long established record of service to INDA, specifically, and the Nonwovens Industry as a whole. The basic requirements include 20 years of service in nonwoven related functions; they must be a current of retired INDA member in good standing and must have a record of participation in INDA activities. Beyond the basics, the successful candidate would have maintained an active partnership with INDA. This individual would have held a key role in planning and executing the long term success of at least one of INDA’s major events or services. This person is an avid supporter and spokesperson for the nonwovens industry. In summary, The Lifetime Service Award is given to the individual who has given his or her best both personally and professionally to the service of INDA and the Industry. 2008 Roy M. Broughton, Jr.
2011 Morris T. Collins, Jr.
2014 James P. Hanson Marketing Technology Service, Inc.
2017 Robert Averell Auriga Polymers, Inc. Presented to an individual who has contributed to the advancement of the nonwovens industry for at least 20 years. Award is announced every three years at the IDEA show.